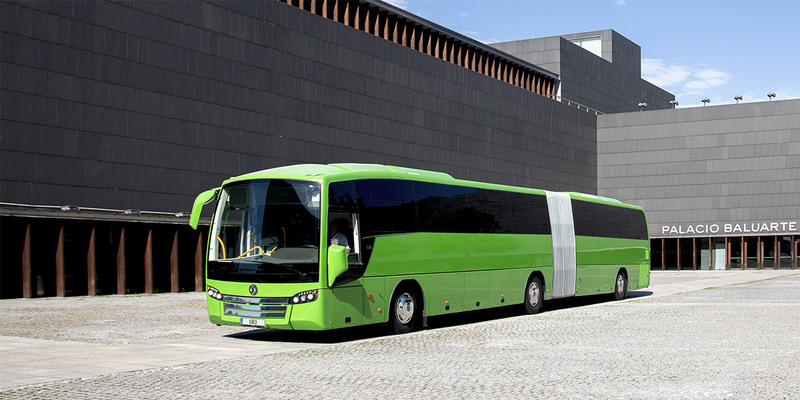 The SC7 is the Sunsundegui coach designed for medium- and long-distance service. Its look and technology have made it a market benchmark. It combines avant-garde design, robustness and safety. It enhances the exquisite value and fluidity of the product line throughout the vehicle. The back and the front respond to the same logic; they unify their look, creating a very harmonious and coherent whole. 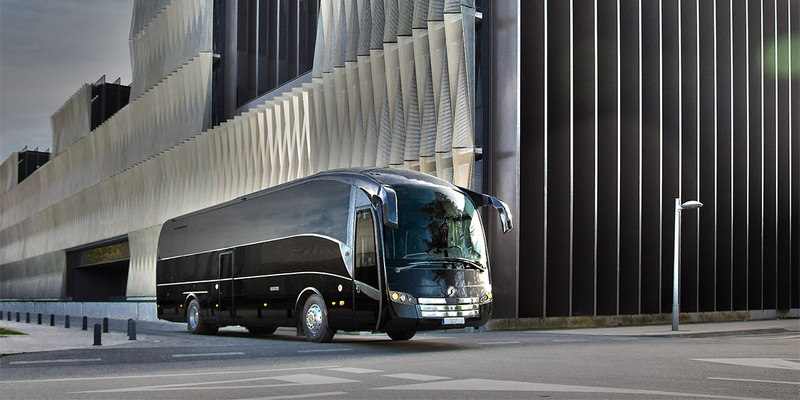 The personality of the SC7 arises from a well thought-out design that has managed to create a stylised yet robust vehicle, powerful and elegant at the same time. 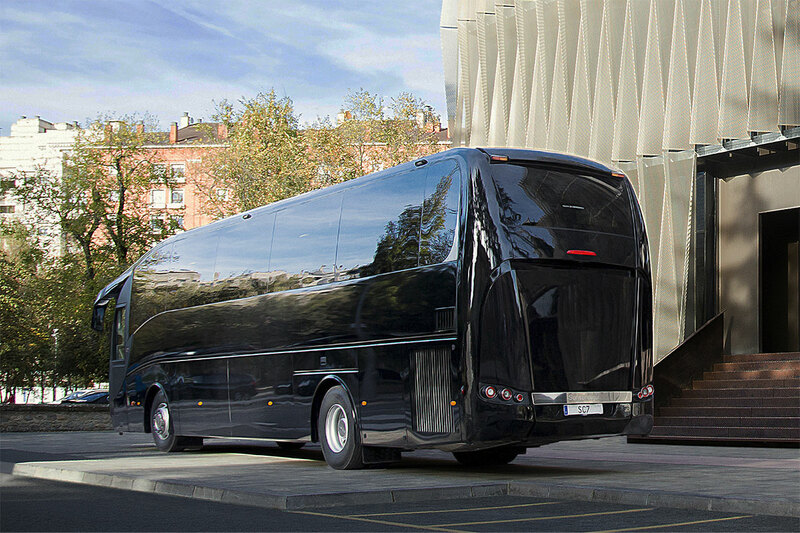 Heir to a long tradition and expertise in the design of large coaches, the SC7 exclusively offers two different rear-view mirror alternatives: Symmetrical, placed at the top of the coach, flowing along a continuous line with the rest of the body, and asymmetric (as an option); an exclusive design allowing the driver to look through them without having to tilt their head up and providing superior manoeuvrability and visibility under adverse weather conditions. Its standard bi-halogen headlamps, which give the vehicle its characteristic look, can be replaced with bi-LED headlamps with more features and luminosity. The design of the rear lamps matches that of the headlamps for a more defined personality and aesthetic consistency, building a unique and unrepeatable whole. The panoramic windscreen, with great visibility from all the seats, features Optikool solar absorbing treatment and the double side windows can be tinted or extra tinted. The elegant front end is completed with three stainless steel bands. The design also provides a brilliant solution for the engine bay cover, featuring a sophisticated geometry for optimised ventilation while offering the brand’s unique look. In pursuit of increased safety, Sunsundegui makes constant efforts in innovation and technology. In this sense, the SC7 body complies with the most demanding rollover regulations (Regulation 66.02). A reinforced front structure is specially prepared for impact absorption, ensuring greater integrity in the driver and guide area. The interior defences have a greater deformation capability, offering increased passenger protection in case of impact. Sunsundegui features the latest technology in driving support systems, including lane departure warning (acoustic and seat vibration) and rear collision warning (RCW) systems. An engine bay fire suppression system is available as an option. Available extras include a burglar alarm, parking sensors, Telemat, etc. At Sunsundegui we know that the SC7 must be profitable for our customers. 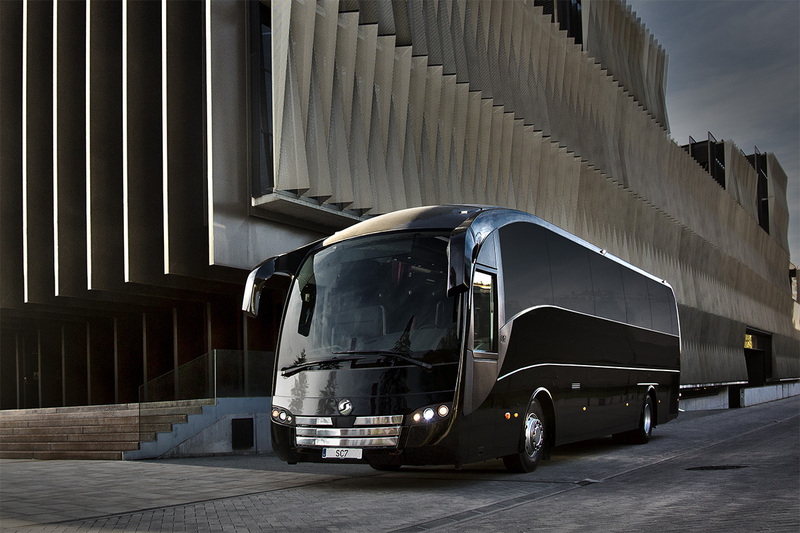 That is why it has been designed for fuel savings, with reduced weight and optimised aerodynamics. Easily accessible parts and installations considerably reduce down time should repairs be required. Front and rear lamps, spare wheel and engine bay cover are all readily accessible, and so are interior cleaning tasks. Return on investment also benefits from its high second-hand market value, thanks to a robust construction that makes it a very reliable vehicle. It has a large luggage hold and well-designed storage space, including wheel-well storage drawers, available as an option. The key element in handling the vehicle is the driver, on whom passenger safety ultimately depends, so the SC7 features a very comfortable driver’s area, with adjustable height and depth surrounded by a highly ergonomic space to enable seamless handling of all controls. 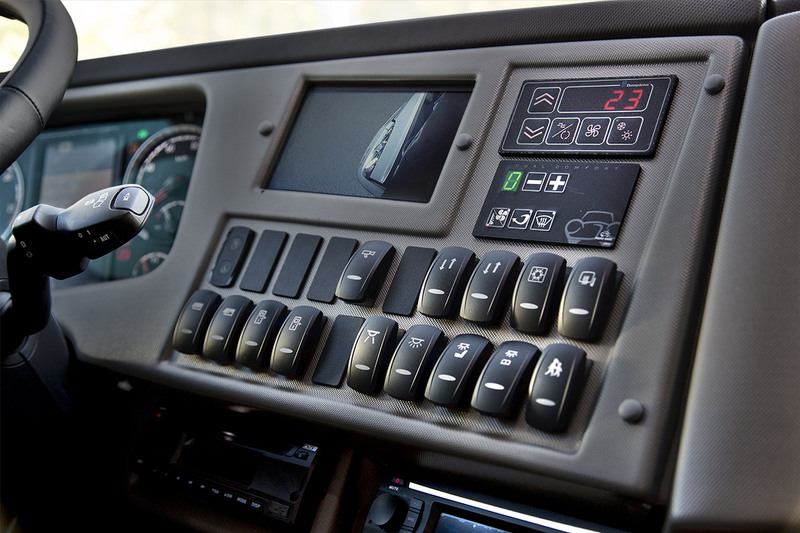 The air conditioning system includes additional air conditioning outlets and a demisting system, usually with hot air, although the cold air option is available so the driver can enjoy an area with a different temperature. The SC7 enjoys great visibility, while cameras can be installed in numerous locations to provide the driver with visual access to all parts of the vehicle, both inside and out. 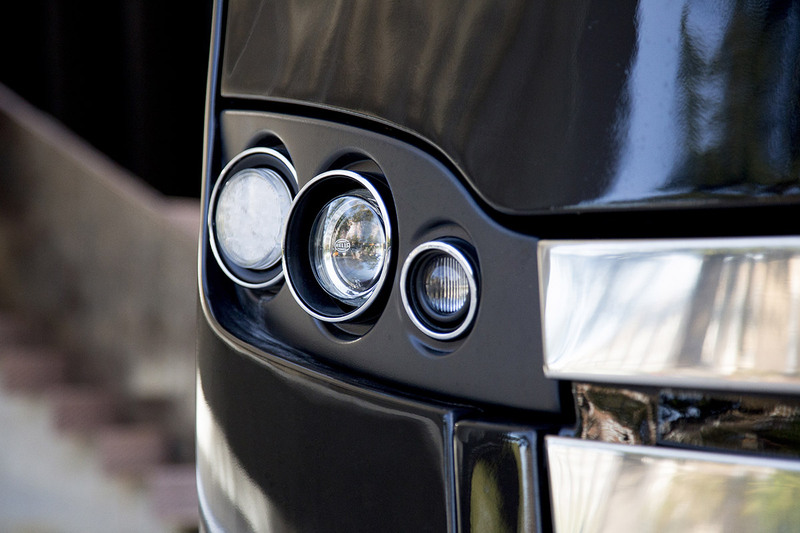 In addition to the standard reversing camera, other options can be installed, including a landscape view camera, rear cameras, such as the landscape vision camera, a camera at the rear footboard, in the hold and even our ‘Magic Eye’ system providing total peripheral vision of the whole vehicle. 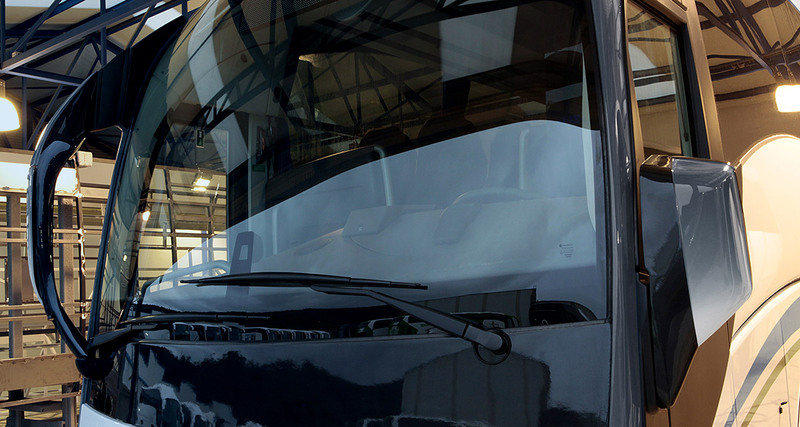 Also as an option, we can place a fresnel lens on the front door, considerably enlarging the driver’s view of the exterior of the coach, for safer lane changes. 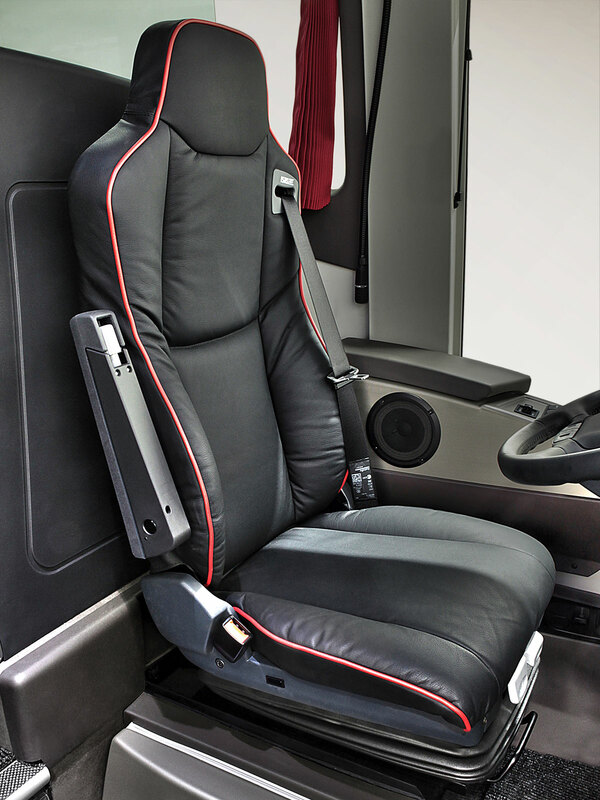 In addition, the driver has a gooseneck microphone that can be mounted on the seat itself (optional), two motorised sun shades and numerous spaces to store different objects. 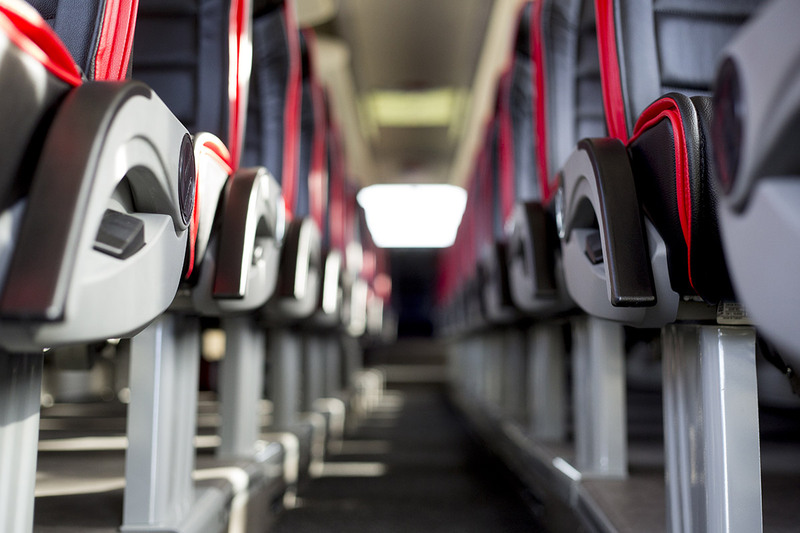 The SC7 provides a unique travel experience for passengers, thanks to its structural resistance that removes vibration for a smooth, noiseless journey. 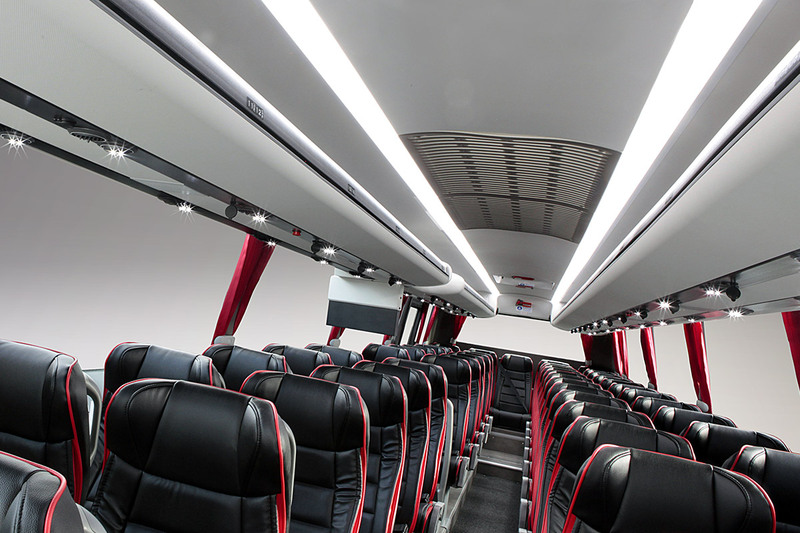 Passenger amenities include reading lights with LED technology and individual air vents placed under the luggage rack, as well as options for individual USB ports and 220 V sockets. 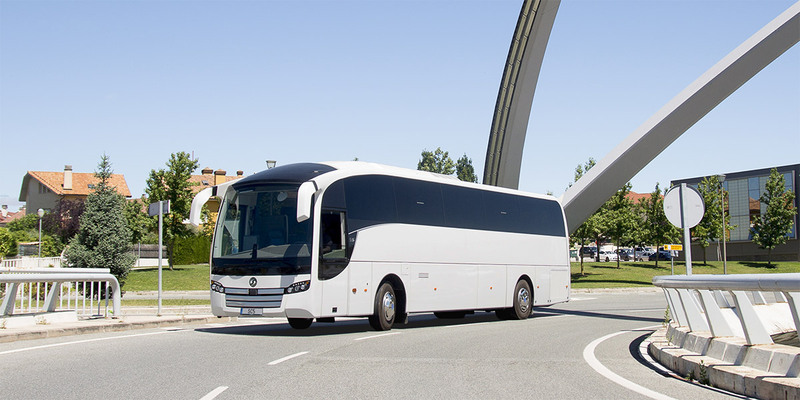 Comfortable seats from top manufacturers and an air conditioning system for the passenger area that is independent from the driver’s area provide an unforgettable journey at an ideal temperature. The over two metres-high interior makes it easy to move inside the vehicle, while the standard entertainment pack includes a USB port for audio and video reproduction, an additional DVD, hands free communications, a digital amplifier, and an integrated multifunction screen for passenger entertainment, with three monitors with different configurations. Normally, there is a 22-inch front monitor, a 19-inch central monitor and, as an option, a motor-driven, collapsible 15-inch monitor at the back. It is also possible to have a monitor in every seat. 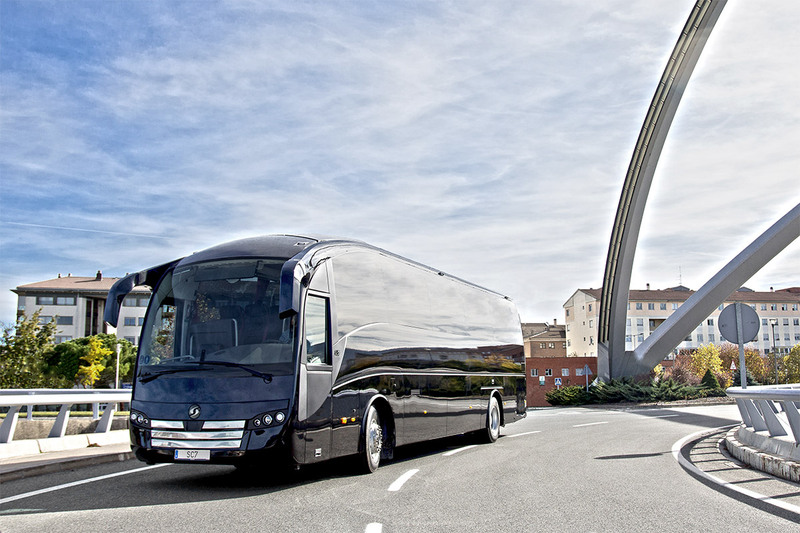 The coaches come Wi-Fi ready and can be delivered with a complete Wi-Fi installation to provide internet access during the journey. The comfortable ride is completed with a toilet option. There are three types of toilets that can be installed in the central footboard to maintain the number of seats and a single floor level model that is installed at the back. 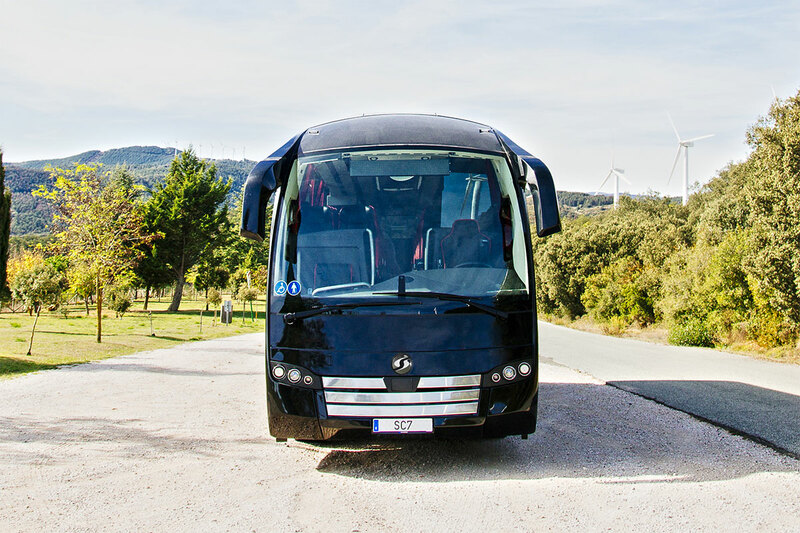 The SC7 can cater to passengers with reduced mobility thanks to its accessible door and the availability of three types lift platforms that adapt to the various vehicle configurations. Close, personal contact with our clients allows us to understand their specific needs, what they require from a coach at different times to suit their business goals. That is why Sunsundegui offers all types of special installations (audio, SAE, CCTV, DTT entertainment on demand, etc.) and passenger amenities, like tables, special seats, kitchen, coffee machine, vending machine, refrigerator and LED lit acrylic sheet guards. Special lengths, small manufacturing batches and other equipment such as bicycle carriers, live animal transport, vacuum cleaner and GPS are also available.